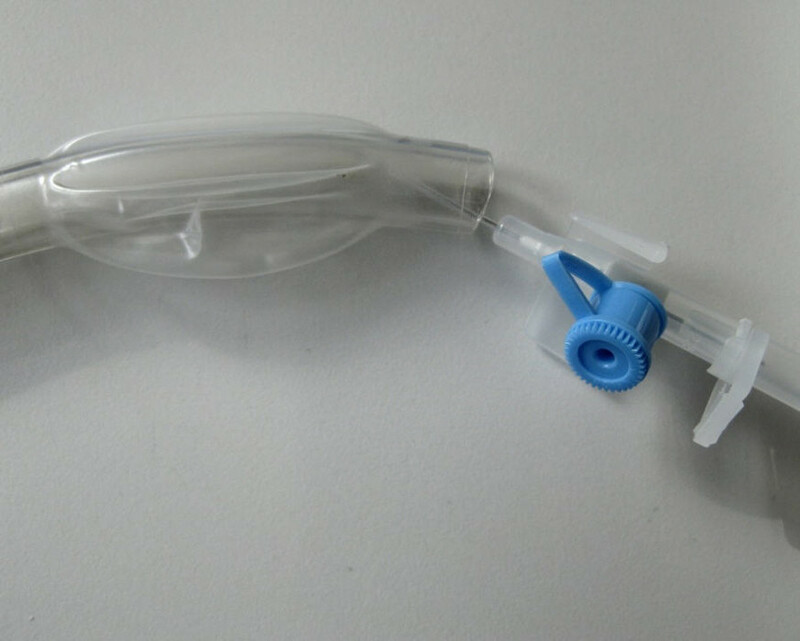 Patients in intensive care often required artificial respiration. After inserting a tubulus into trachea the enlarged tubulus end, the cuff, is inflated to ensure that the air pumped into the tubulus from the respiratory device is transported into the lungs. Additionally, the respiratory cuff shields the lung from gastric acid that might be inhaled. An automated pressure control has been integrated into the device. If the pressure of the cuff is to low an inlet valve is opened and air is forced inside the tubulus by the action of an miniaturized pump. A pressure inside the cuff higher than the respiratory pressure automatically triggers the opening of an outlet valve and air is released. The system is actuated by an microcontroller. 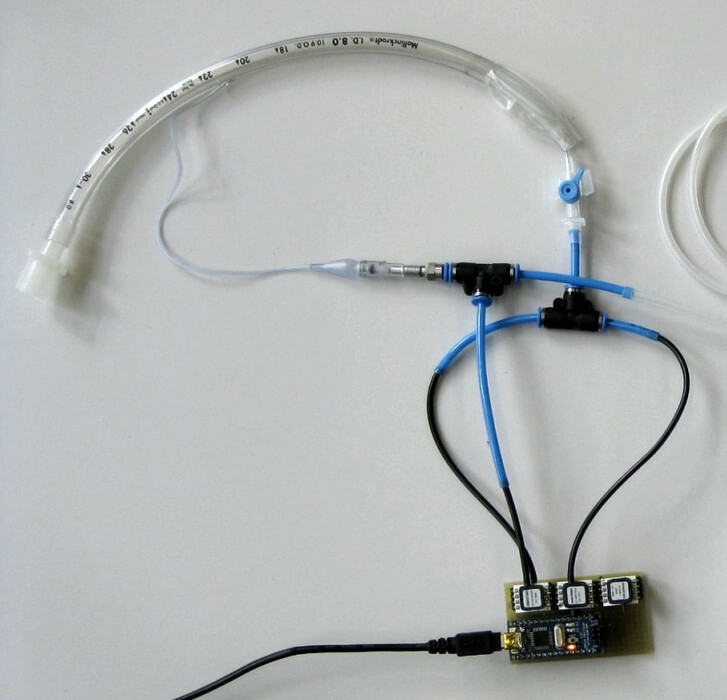 Experiments performed with a respiratory device using a test dummy with artifial trachea and lung have shown that the system works well even with differrent types of tracheal tubuli and higher pressures.